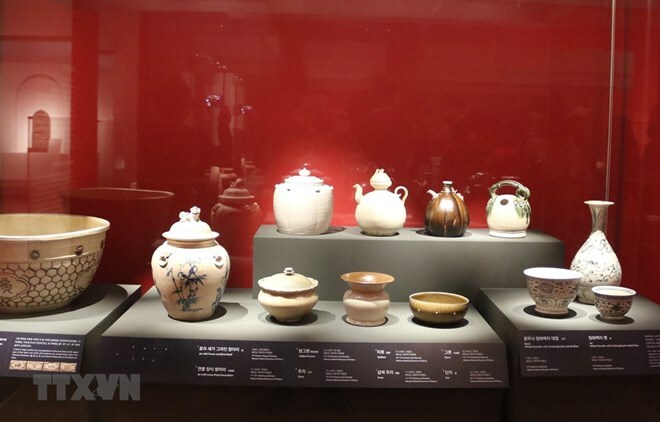 Seoul (VNA) – An exhibition featuring Vietnamese antiques opened at the National Museum of Korea in Seoul on March 27, introducing the long-lasting culture and history of the Southeast Asian nation. On display are more than 50 valuable items dating back to 2000 BC to the 19th century. Addressing the opening ceremony, Vietnamese Ambassador to the Republic of Korea Nguyen Vu Tu said this is one of substantive outcomes of the friendship between the two countries, while expressing his belief that the exhibition will contribute to further developing the Vietnam-RoK relations. Bae Kidong, Director of the National Museum of Korea, said he hopes the event will be a good chance for the Koreans to understanding more about Vietnam.